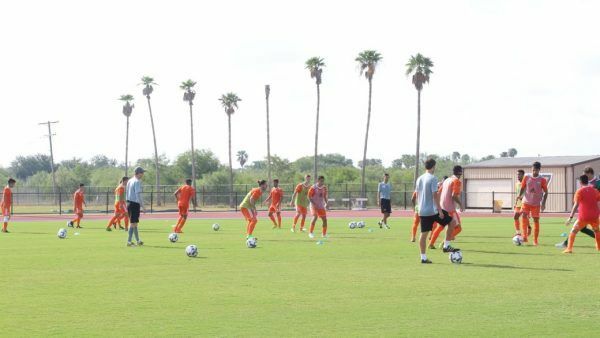 The University of Texas Rio Grande Valley Vaqueros Men’s Soccer ID Camp is a two-day event that will fall on July 28 and July 29. It is open to all male soccer players 14 years of age and up who desire to compete at the college level. This soccer identification camp is the ideal venue to experience a collegiate level playing and training environment. In addition, this program will be facilitated by the Vaqueros men’s soccer coaching staff and college players. The camp is going to take place at the University of Texas Rio Grande Valley’s top-notch Soccer Stadium. Furthermore, the camp daily schedule is set to run from 1 o’clock in the afternoon until 4 o’clock in the afternoon. The University of Texas Rio Grande Valley is a public, coeducational university in Edinburg, Texas. It also has other campuses in Brownsville, McAllen, Harlingen, Rio Grande City, and South Padre Island. The University of Texas Rio Grande Valley is part of the University of Texas System. In addition, it is one of the nation’s largest universities. Presently, the university is serving around 24,900 undergraduate students and around 3,600 postgraduate students. 44 percent of this undergraduate student population are male students and 56 percent are female students. This undergraduate student population is also through a selective enrollment acceptance rate of 63 percent. Correspondingly, the University of Texas Rio Grande Valley’s student to faculty ratio of 22:1. The University of Texas Rio Grande Valley is 598th in the Forbes Magazine’s List of America’s Best Colleges and 221st in Public Colleges rankings. It is also 169th in the Engineering Programs category of the 2018 US News and World Reports rankings, 2018 edition. In sports, the University of Texas Rio Grande Valley is competing in the Western Athletic Conference (WAC) of the National Collegiate Athletic Association (NCAA) Division I. The athletes’ nickname is Vaqueros and Vaqueras. Orange, gray, green, and navy blue are the university’s official colors. Paul Leese, a native of Liverpool, England is the head coach of the University of Texas Rio Grande Valley Vaqueros men’s soccer team. He is now entering his fourth season at the reins of the Vaqueros men’s soccer program. Coach Paul Leese is a bachelor’s degree in Business Administration graduate from Furman University. Meanwhile, he earned his master’s degree in Business Administration at Elon University. Coach Leese is also a United States Soccer Federation (USSF)coaching license and a National Soccer Coaches Association of America (NSCAA) Premier Diploma holder. Ultimately, Coach Paul Leese is a two-time Conference Carolinas Coach of the Year awardee. In 2016, he led the Vaqueros to their first-ever WAC Tournament appearance. Then, the University of Texas Rio Grande Valley Vaqueros assistant men’s soccer coaches are Donovan Dowling and Lee Williams. Coach Donovan Dowling who hais from Olathe, Kansas is now entering his third season with the coaching staff. He is a bachelor’s degree in General Studies graduate from Indiana University. Coach Dowling also completed his master’s degree in Sports and Human Performance from Fort Hays State University. Coach Dowling is the former Northeast Texas Community College men’s and women’s soccer head coach. Finally, the team’s volunteer assistant coach is Gary Hamilton. Join the University of Texas Rio Grande Valley Vaqueros Men's Soccer ID Camp on the 28th and 29th of July. It is set to run daily from 1:00 PM until 4:00 PM. The program is going to take place at the scenic University of Texas Rio Grande Valley in Edinburg, Texas. This event is open to all boys 14 years old and up who desire to play at the college level.